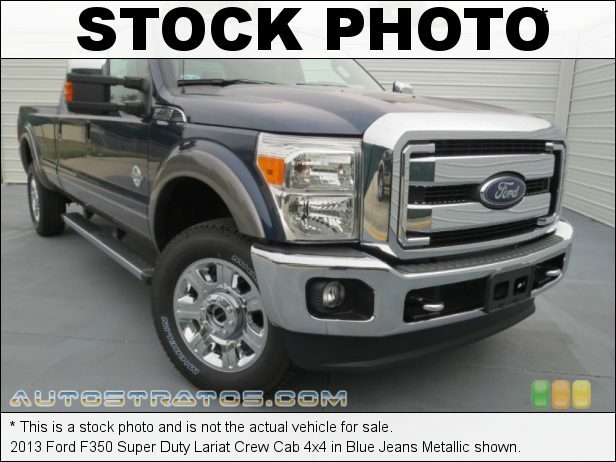 Power and distinct style unite in our 2013 Ford F-350 Lariat Crew Cab 4X4 shown in Kodiak Brown. Powered by a 6.7 Liter Power Stroke TurboCharged Diesel that offers 400hp on demand and even more torque while paired with a 6 Speed SelectShift Automatic transmission that will handle your toughest job with ease. You will feel confident with this Four Wheel Drive's power and smooth handling. F-350 is built strong with great payload and towing capacity up to 22,700 lbs. The chrome grill and bumper add to the unique style.Inside our Lariat, it's all about comfort and innovative features with handsome leather seats, beautiful leather-wrapped steering wheel, driver seat memory, remote start and a rearview camera. Ford Sync with available Sirius XM radio allows you hands-free communication and up-to-date information not to mention awesome entertainment for your family road trips! A power-sliding rear window, rear parking sensors and power telescoping mirrors are just a few of the extras on this stylish F-350. The 2nd seat adds plenty of room for passengers and cargo.Safety is always number one at Ford with six standard airbags, SOS post-crash alert and Roll Stability Control keep you safe and secure. The Ford F-350 4x4 is an impressive, powerful choice. You will love getting behind the wheel of this fantastic Ford Tough Truck! Print this page and call us Now... We Know You Will Enjoy Your Test Drive Towards Ownership.Call 1-888-568-6325 for details!